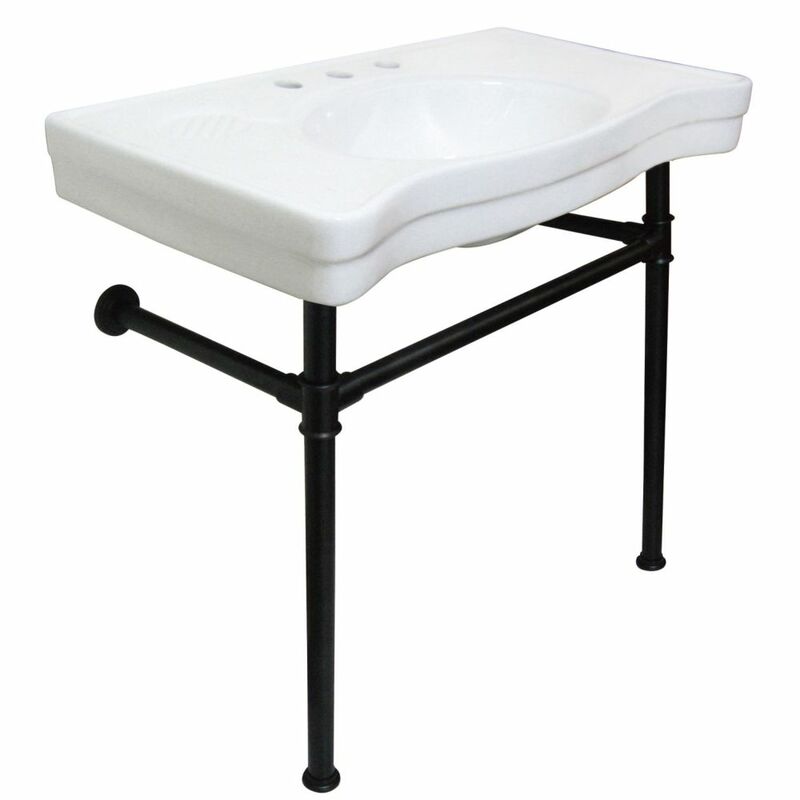 Console bathroom sink with metal legs is a beautiful addition to any bathroom. The sink is 36 inch W with 8 inch faucet drilling holes. The legs come in your choice of finish and are constructed of stainless steel. A bold, sophisticated classic. This striking rectangular pedestal sink from the Boulevard Suite brings a touch of uptown flair to any bathroom. Its ergonomic Right Height. design helps prevent back strain. Made from high-gloss, stain-resistant Vitreous China. Graceful lines and delicate curves flow throughout Anatole. Accented with sculptural detailing, this basin infuses bath and powder rooms with romantic style. Pair it with the Anatole pedestal for an elegant combination. Console Table Combo in White with Metal Legs in Oil Rubbed Bronze Console bathroom sink with metal legs is a beautiful addition to any bathroom. The sink is 36 inch W with 8 inch faucet drilling holes. The legs come in your choice of finish and are constructed of stainless steel.